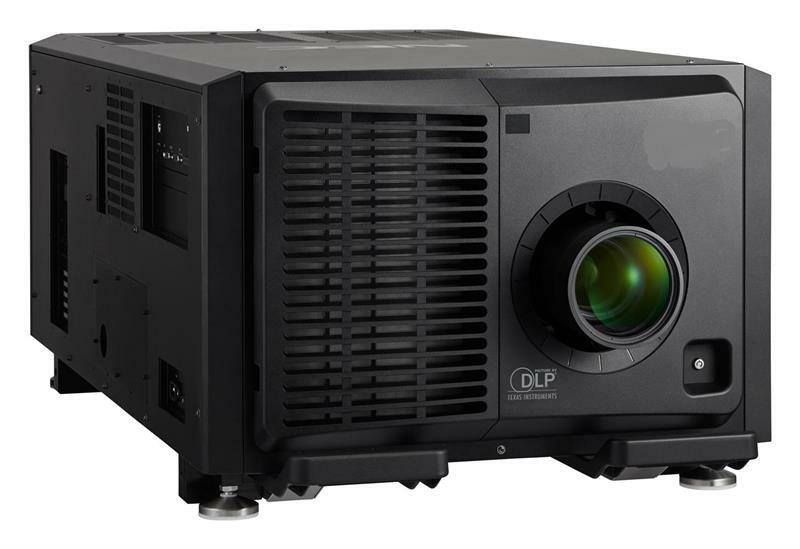 9126-4K is a 30,000 Center Lumens (26,000 ANSI) 3-Chip DLP RB laser projector with advanced professional installation features for higher education, house of worship, rental & staging, museum and corporate users. Creates stunning real life video images using proprietary Digital Cinema Quality Video processing. Extreme brightness and resolution also offer a seamless alternative to video walls. With its multitude of digital inputs, (Dual HDMI (V2.0) w/ HDCP (V1.4/2.2), Dual DisplayPort w/ HDCP (V.1.4), HDBaseT w/ HDCP (V1.4/2.2), Quad 3G-SDI and an OPS slot) connection to any computer or high definition device including 4K UHD is possible. Enjoy design and installation flexibility with a complete line of optional powered lenses (lens shift, focus and zoom), Built-in edge blending, stacking and geometric correction help support projection mapping when single or multiple projectors are required. The newly developed sealed optical engine creates filter/maintenance free projector operation. For added piece of mind, Dukanes 9126-4K is backed by a generous 5 year warranty and our world-class service and support programs.